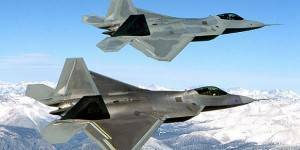 Boeing awards Contract to Ejay Filtration Inc.
Ejay Filtration was awarded the contract to manufacture a custom fuel filter for the F-22 Raptor. The filter will be used for the “Stored Energy System”. Boeing approached Ejay Filtration in 2003 with a request to propose a wash-type filter element for a specific re-design application. Ejay Filtration designed the wash-filter element and supplied a no-charge prototype to the Boeing company for evaluation and testing. three years later Boeing awarded an order to Ejay Filtration to manufacture and test 2 filter assemblies, which was successfully completed. Two years later we were awarded us the production contract. Vice President, Jennifer Hall said “We are delighted that our filter was selected for this project. We have had a long and rewarding relationship with Boeing and are excited that we will be able to provide a product that help our Military with the very best tools that ensure their safety”.